The half mask of the Boy presents the qualities of innocence and yet is wise for his age. 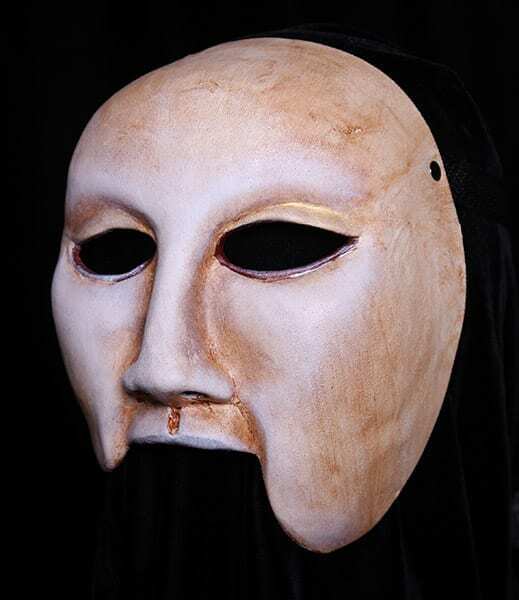 This mask is a helper and presents the struggle of youth against the violence of the adult world. This half mask acts a guide to the blind profit of Teiresias in the play Burial at Thebes but could also be served up for dinner by Media. Children don’t typically fair well in Greek Tragedy. The mask of the boy is made of high quality professional materials. It is constructed to last. All of the masks are easily cleaned and padded at the back for comfort.